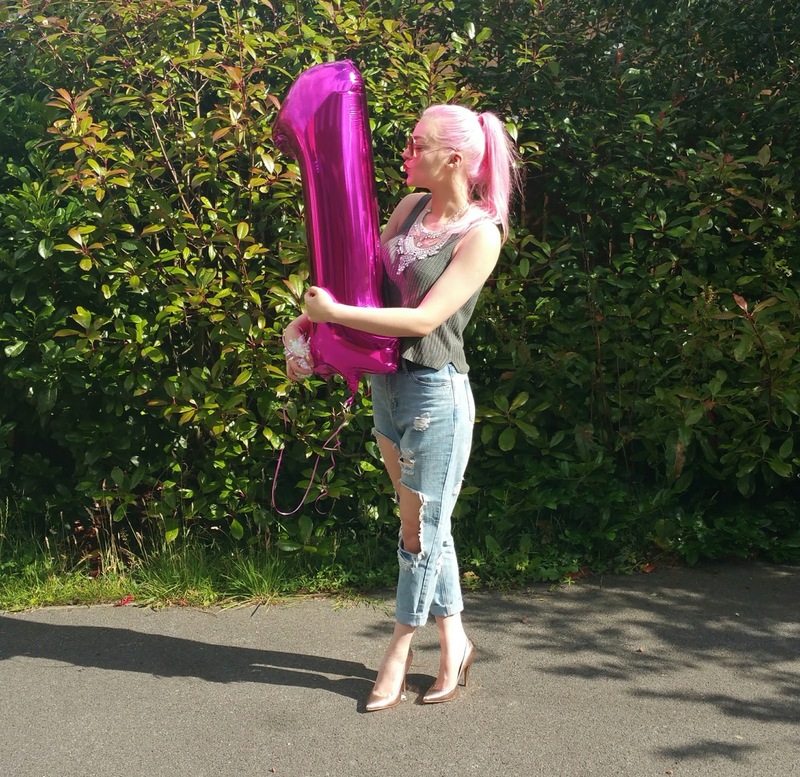 I have to admit before I get into this post, I’ve mixed up my dates and my blogiversary isn’t actually until the 10th of August, but what’s a few days early?! I had a BBQ with friends and family at the weekend to celebrate, and as you can see from the picture above, everything was pink (of course!). Looking back over the past year it certainly has flown over. I’m so proud of what I’ve achieved and blown away by the response I’ve had from the general public and companies that have approached me to work with me. 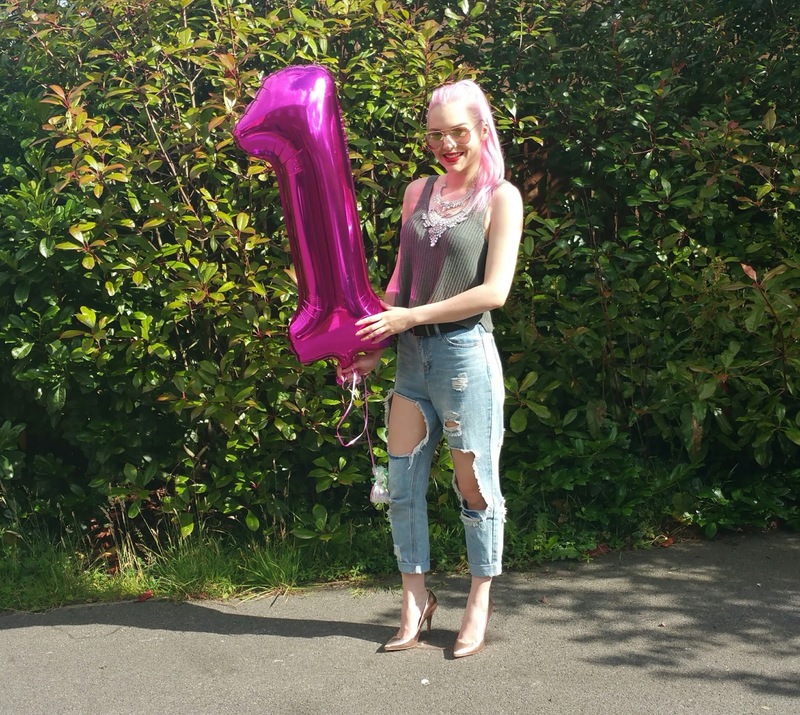 I don’t know what I was expecting to achieve with my blog, apart from giving my ridicolous amount of wardrobe the chance to see the light of day, but really I just wanted to see if I could inspire people the way my favourite fashion bloggers have inspired me. I’m not sure if I have achieved this, or if I even have a reconisible sense of style, but the feedback I have recieved over the past year has really been overwhelming. Not just in the sense that I can see people read my blog, but I have regular followers which is lovely to see people returning to read my content. It is very flattering to know and it has even helped my self confidence as a women to know that people love my style. 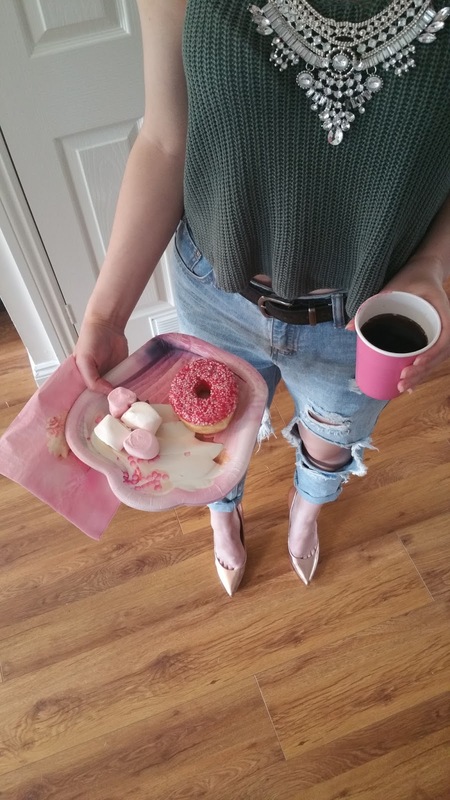 It’s been hard at times to juggle university and regular blogging, as although my blog is just as hobby at the moment, I dedicate a lot of time and effort to my blog and it has been hard for me to see my blog have to take a back seat at times when university has been busy. I had to stop uploading content almost completely during exam season which was really hard for me to do! 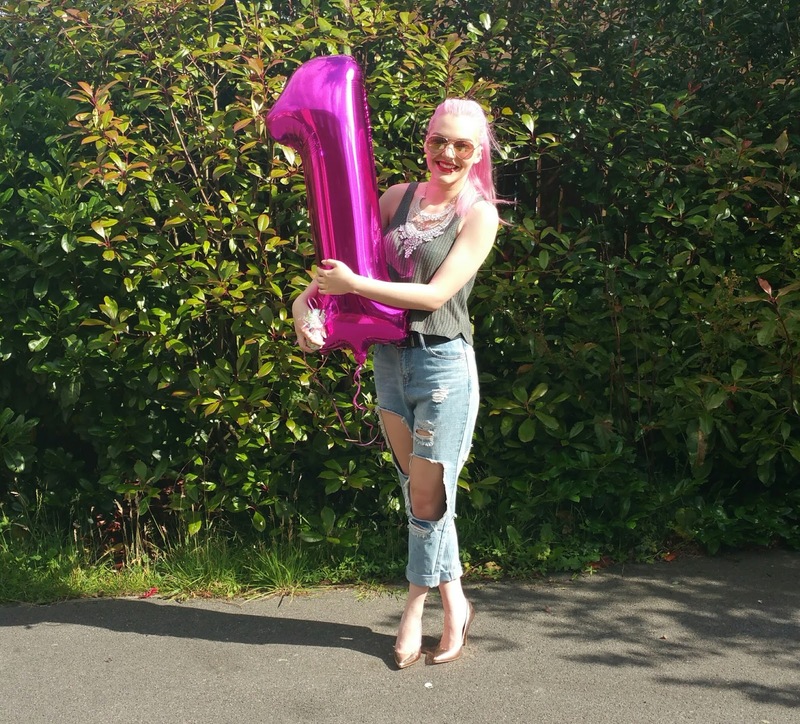 As some of you may already know I started my own Youtube channel a few months ago too, but the juggling of university, blogging and Youtube has been hard sometimes for me to keep on top of! As part of my university course I have to do a year long full time working placement from this coming September till next June, so I’m really hoping it doesn’t interfere with my blogging too much but if you notice a drop in my presence on social media then you know why! I don’t normally like to tell people but I was diagnosed with M.E./CFS quite a few years ago now, (in a nutshell I get tired easily and don’t have the physical stamina of someone without M.E./CFS of the same age as me) and blogging is a way I can do my own project from the comfort of my own home without wearing myself out and it’s good for me to see what I can still achieve even with my M.E./CFS. I’ve been very lucky to have worked with some amazing companies such as MissPap, LilyLuLu Fashion and LOTD to name a few and I’ve had alot of feautures over on Instagram with companies such as Public Desire and even Primark. 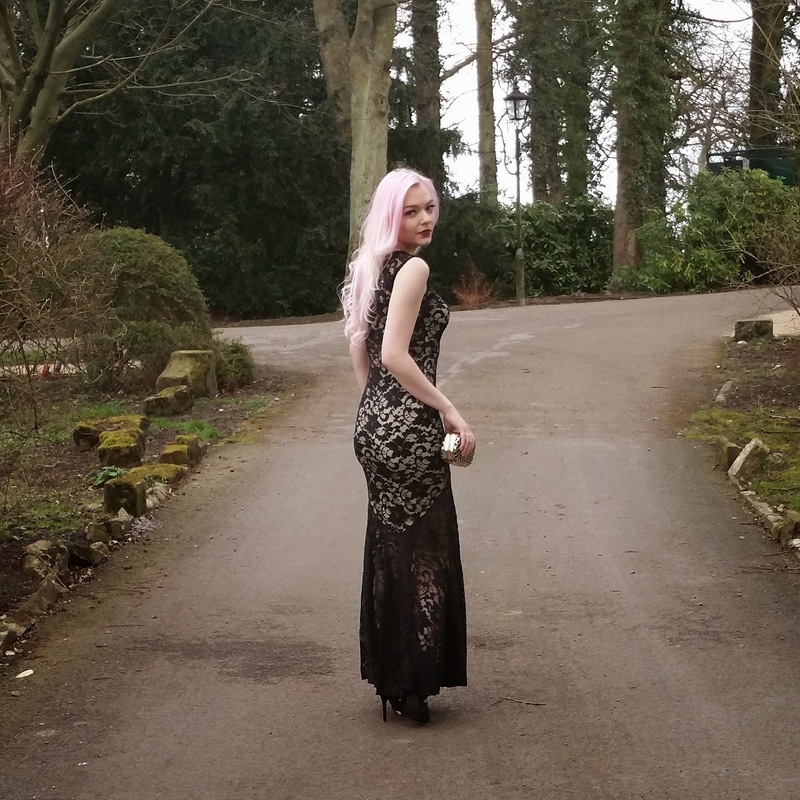 I was overwhelmed when I was asked to be the UK ambassador by Muse Theory for their company, which I happily accepted as I love their clothing line! I’ve been invited down to London for events with companies such as InTheStyle where I’ve met some of my favourite bloggers such as Sarah Ashcroft, Lucy & Lydia and loads of other amazing bloggers; some of which I can now call good friends! I’ve met Lauren Pope, Charlotte Crosby and almost met Katie Price but before I had a chance to say hello I had to leave the party early to catch the last train home! Darn trains! I have been so blessed to have been able to do all of this, and I want to say a big thank you to everyone who has supported me and worked with me over the past year. I wouldn’t be able to do what I’m doing now if it wasn’t for all of your support so thank you all so much from the bottom of my heart! You all truly do mean the world to me! I have a lot of amazing things already planned for my next year as a blogger, so here’s to another amazing year of blogging! 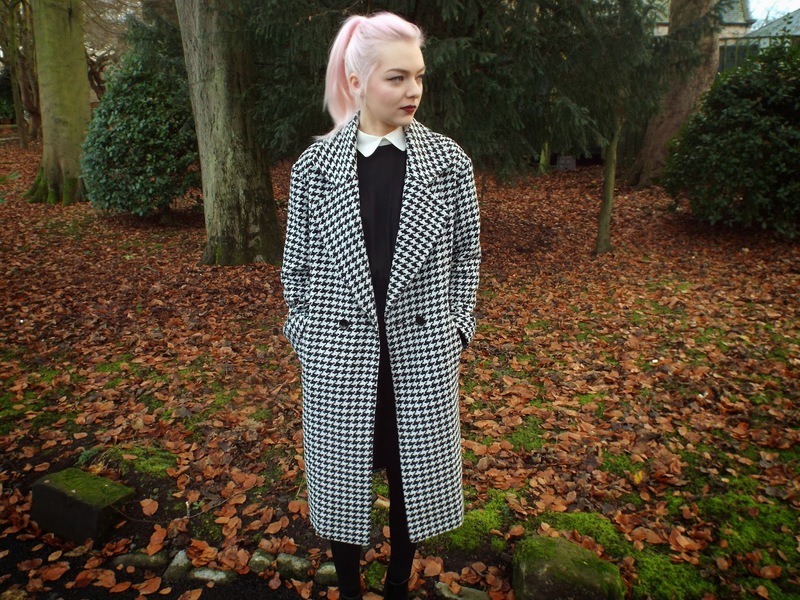 I’ll leave you with some of my favourite blog post outfits (the first one below being my first blog post outfit ever!) from the past year!